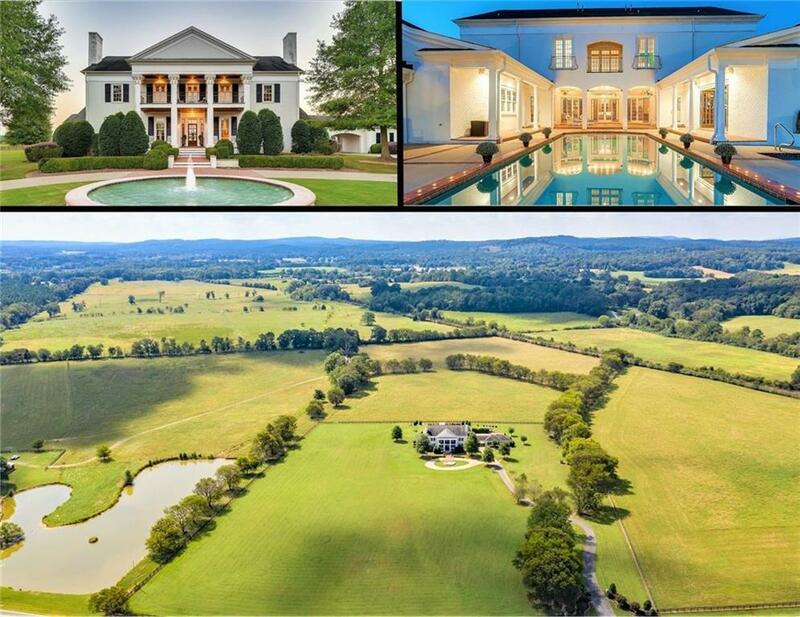 Located just 49 miles north of Cobb Galleria/I-285, this 87 acre estate is a North Ga treasure! Breath-taking views of lush rolling pasture & mountains in the distance frame the gorgeous sunsets seen from the balconies of the classically beautiful home. Floorplan was brilliantly designed to combine today's easy-living with old-world charm, seating/dining choices ranging from formal to informal, to al fresco. Huge French Provincial kitchen & flow make this the perfect "home for the holidays" and entertaining home. Dual master suites w/ FP. Guest house, large barn w/apt. Directions: From Atlanta, Take I-75 N To Exit 306 (Adairsville Exit). Turn West Onto Hwy. 140, Turn North Onto Hwy 41. Proceed To Taylor Bridge Road And Turn Left. Taylor Bridge Becomes Darby Road. Property Is On The Left. From Chattanooga, Take I-75 S To Exit 306 (Adairsville Exit). Selling Office: Better Homes Ga Properties , Llc.